Savvy shoppers will remember that there’s a lot more to buying a house than just paying the mortgage. If you’re considering a home purchase, prep your finances now for a successful homeownership experience. Pull your free credit reports using AnnualCreditReport.com, the federally-mandated free credit report website. You are authorized one credit report each 12 months from each of the three major credit reporting bureaus. If you’re buying soon, pull them all at once. If you have a little time, consider spacing your reports out every four months, checking one report at a time. Review your credit report carefully and dispute anything that is wrong. It’s estimated that 1 in 5 people have a confirmed mistake on their report, so don’t be surprised if you find errors. Use the process explained by the reporting agency to dispute each error. The credit bureau will return to the reporting company and ask for verification on the information. If they confirm it, and you still believe it to be inaccurate, you can submit a statement for your credit file. Figure out how much a house is actually going to cost you each month. Make sure the mortgage amounts you’re considering include insurance and taxes. Then, do some research to estimate the cost of utilities, including gas, electricity, sewer, and water. Determine the cost of homeowners' associations in neighborhoods that you like. 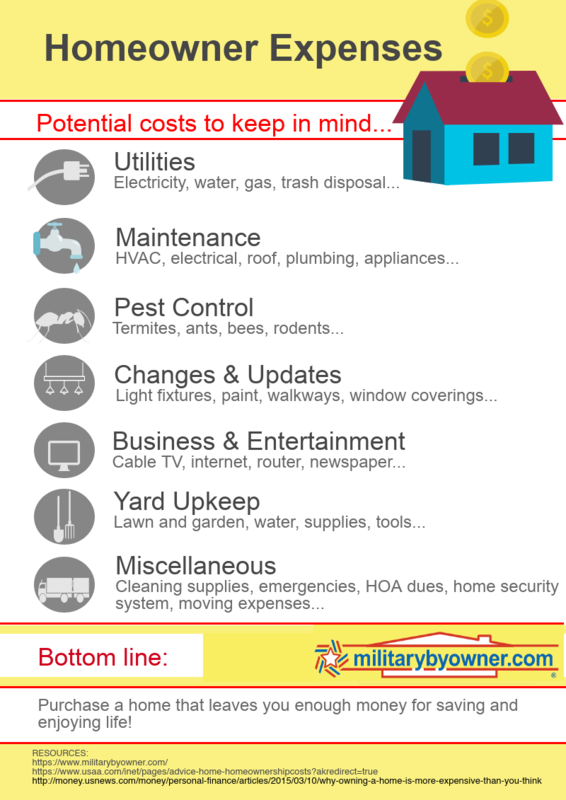 Consider the ongoing costs of maintenance. There are several rules of thumb for estimating maintenance costs, all somewhere in the range of 1% to 3% of a home’s value each year. Newer, simpler houses tend to have maintenance costs at the lower end, while older, more complicated houses will have higher costs. Using these rules, a newer $150,000 house might cost only $1,500 per year to maintain - that’s not a ton, but it’s still $125 per month. An older, $300,000 house may cost $6,000 to $9,000 per year to maintain, adding significantly to your monthly housing expenses. Not every house will use all that money every year, but you’ll have very expensive years when the roof and HVAC both need replacing or a bunch of little things add up. 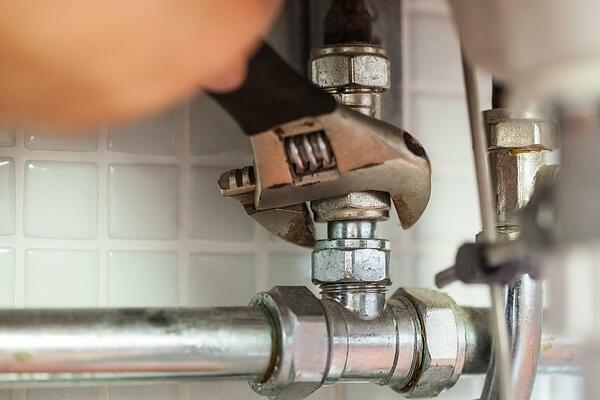 Just this month, I’ve had a leaking hot water heater (and inches of water in my basement) and a bathroom with an impossible-to-fix-without-tearing-out-the-tile faucet drip. Oh, and the annual service contract on my HVAC system was up for renewal. And that’s a pretty typical month in homeownership. One of the other financial dangers of owning your own home is that you will always see something that you want to improve. When you rent, it’s easy to put cheap curtains on the windows, ignore the 70’s kitchen cabinets, and throw up a coat tree in a mudroom that really begs for built-ins. When you own the house, you may want nice blinds, or to redo that kitchen, or to do something with that mud room. It’s tempting to put a lot of money into a house, even without doing any big projects. 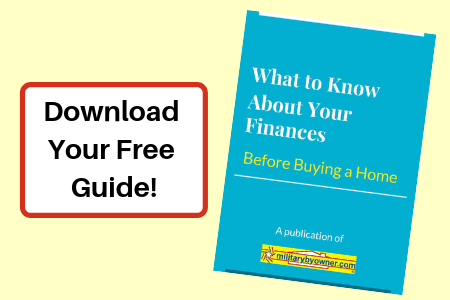 Be sure you’re considering all the costs of homeownership, including taxes, insurance, maintenance, and improvements, once you figure out how much you can afford for housing. Ask your homeowner friends for realistic ideas of how much they spend beyond the mortgage. It can be surprising how much it costs to own a home, especially if you’ve always had the benefit of a fixed rental payment. It’s pretty rare to live in a home for your entire life. It’s almost impossible for military families! You’ll eventually either rent or sell this house, or rent it and then sell it. Create a Plan A, Plan B, and Plan C for what you’ll do when you get Permanent Change of Station (PCS) orders, or you outgrow the house, or it gets rezoned to a less desirable school district. Do some research and learn about the full costs of buying and selling a house, as well as the potential tax consequences of each plan. Make sure you thoroughly understand capital gains taxes, and, if renting is part of any of your plans, depreciation recapture taxes. Many a homeowner or landlord has thought they were doing OK with a house purchase, right until they got the final tax bill after they sold the house. That is not a surprise you want many years down the road. Learn more about this topic in our post The Effect of Capital Gains Tax Exclusions on Military Home Sellers. Buying a house is the single biggest financial transaction most people make in their lives, and it’s never without risk. Education, research, and careful consideration (plus a big down payment) can decrease the risk and increase the chances that you’ll have a financially successful home ownership experience. Share this Image On Your Site--simply copy the text in the box below and paste it into your own blog or website!